BIO-SOK™ Bilge Maintenance System is an easy-to-use, completely nontoxic and environmentally sound means of capturing and biodegrading the oil and fuel that leaks in a boat bilge and often escapes into marina waters. When you need a way to keep marina waters free of bilge oil and other fuel contaminants, uses BIO-SOK™ Bilge Maintenance System. Placed inside the bilge, the BIO-SOK™ begins to absorb the hydrocarbons, it reduces odor, and biodegrades the leaking oil. BioSok™ will generally last a full boating season under most normal conditions. 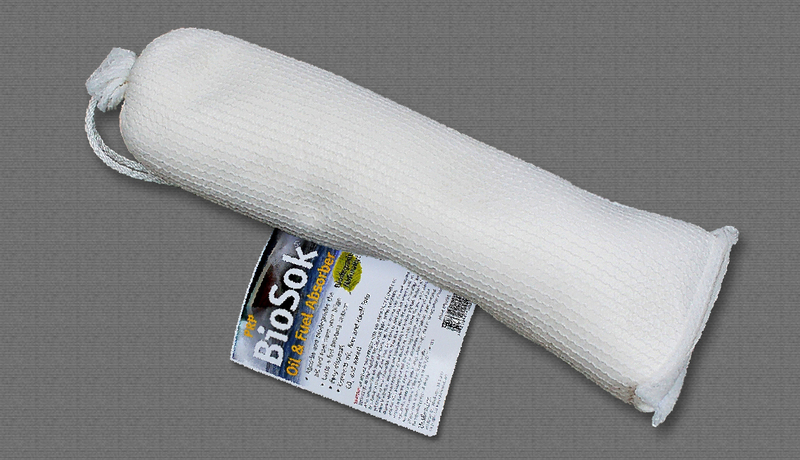 When BioSok™ is depleted, you can simply throw away the outside fiber sleeve. There is nothing left to harm the environment. The BIO-SOK™ is safe, clean and keeps working so you don’t have to.